Thank you for making! It is so fun to play the game!! Sorry about not replying for a while, but I've been visiting this site quite rarely at the moment, yes you can on Easy mode. 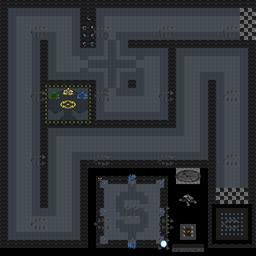 I've been working on Turret Defense 2014 but abandoned it. If you are looking forward to release more of my maps then I am happy to complete this project for you to try it out! Can you solo this or require a team? So...did anyone finish it, hard mode?